This voyage maximises wildlife sightings with the chance to circumnavigate Svalbard. Search for walrus, arctic fox, whales and of course the ‘King of The Arctic’, alongside visiting abandoned trapping stations and experiencing glaciers up close. Sailing on board the state of the art Greg Mortimer this is sure to be an incredible experience. Enjoy a guided tour of Spitsbergen's colourful capital Longyearbyen. Late afternoon sees us warmly welcomed on board Greg Mortimer. Wake up to spectacular alpine peaks and glacier valleys of Spitsbergen's rugged west coast. 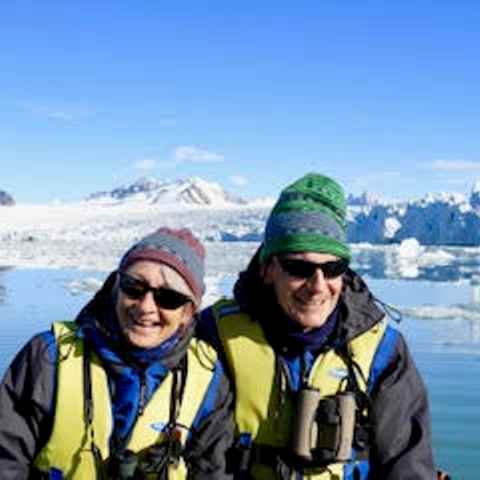 In Magdalenefjorden, you will Zodiac cruise a safe distance from the aqua-blue ice cliffs of 14th July Glacier or Waggonway Glacier, and take long walks among summer flowers, alert for reindeer and Arctic fox. Thanks to the nutrient-rich Gulf Stream and relatively mild temperatures, Atlantic puffins and guillemots fill the cliffs. Look for bearded seals, with their precious curling whiskers. You may visit the remains of a 350-year old Dutch whaling settlement on Amsterdam Island and learn of an ill-fated ballooning attempt over the North Pole. 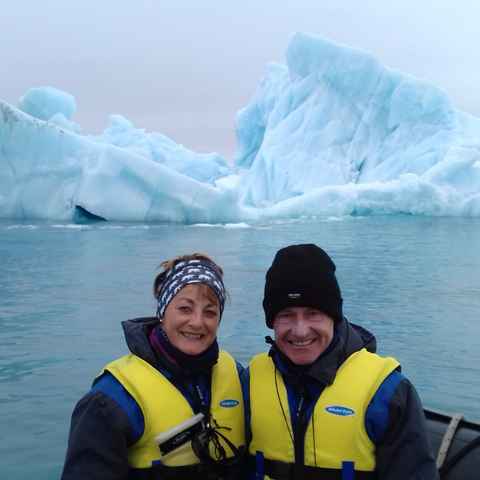 Rounding Spitsbergen's northwest coast, enter the Arctic Ocean and the world of pack ice. Ghostly beluga whales rise up in open leads and polar bears stalk ringed, bearded and harp seals. Offshore, walruses feed on clams or haul out on beaches, especially on Moffen Island, a walrus sanctuary. Visit trapper huts and stay alert for reindeer and Arctic fox. Delightful walks reveal delicious berries and some of the tundra's 164 exquisite flowering plants including purple saxifrage, yellow spider plants and Svalbard poppies. If ice conditions allow, attempt to cross latitude 80 degrees north before turning south to Woodfjorden. Attempt to pass through narrow Hinlopen Strait, a channel flanked by austere, cream-coloured slopes rich in fossils between Spitsbergen and ice-capped Nordaustlandet. This polar desert is a landscape eroded by severe frost. Even in summer, pack ice could bar our way, but there is much to strive for. Zodiac cruise beneath Alkefjellet, sheer basalt cliffs rising at more than 250 metres - literally buzzing with some 200,000 nests of Brunnich's guillemots. During shore excursions, you seek eider ducks, Arctic foxes and the elusive Svalbard ptarmigan. 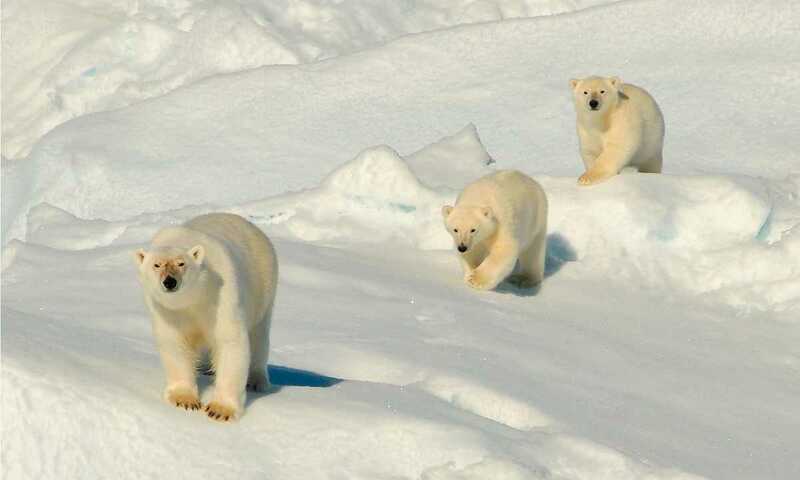 As you pass Barentsoya and Edgeoya islands, you cross polar bear migration routes. This is true expedition cruising. If ice conditions allow, round South Cape and sail north toward Hornsund and Bellsund, deep fjords home to stunning glaciers and wildlife. If ice bars the way, the itinerary will be adjusted, backtrack and delve deeper into the wonders of Spitsbergen's north and west coasts. A midnight cruise of glorious Isfjorden returns you to Longyearbyen and the end of the voyage. Close-up views of a blue whale on the first evening as we left Longyearbyen was a great start. Fantastic to have sailed beyond 82N into the ice cap. We didn't expect to have such experienced and professional guides. Their knowledge of the fauna, flora and environment was outstanding, as well as their communication skills. Our grandchildren couldn't believe the photo of the midnight sun on board the ship, taken at midnight!! The real "David Attenborough moment" was watching a large male polar bear walk along the seashore and amble in between a massive haul-out of around 150 walrus. The walrus were clearly a little concerned and some reared up and bellowed, but that didn't put the bear off. We were mesmerised as we watched the scene unfold from the Zodiacs. Sea Kayaking (AUD1520) - basic abilities required. Scuba Diving (AUD1520) - cold water and drysuit diving experience mandatory. Arctic Snorkelling (AUD740) - no experience required.